G-Shock is undeniably one of the biggest names today when it comes to highly fashionable watches. What makes it a popular choice is the fact that apart from its uniquely stylish aesthetics, it is also very durable and a timepiece that any gender and any age can use. The brand’s owner, Casio, keeps the G-Shock name interesting by continually coming up with editions that mirror the interests and cultures of today’s generation in a way that blends seamlessly with the watch’s cutting edge advancements in technology. 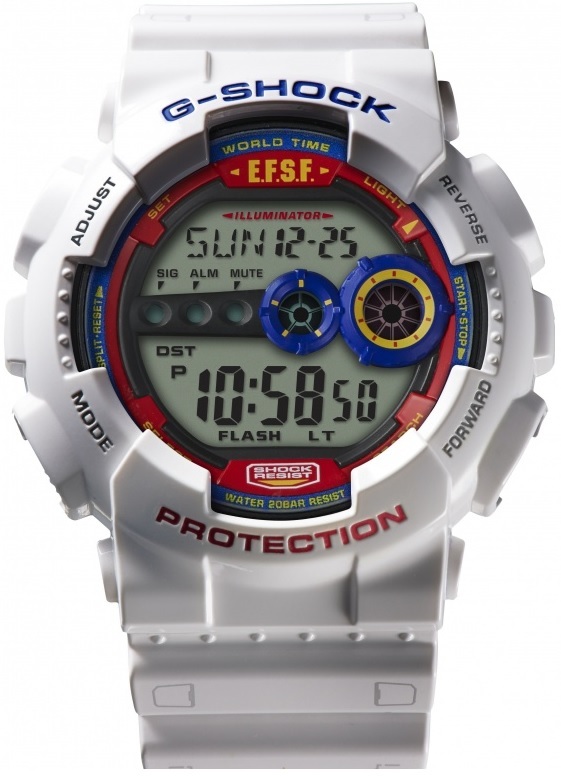 The G-Shock x Gundam GD-100 Model happens to be one of the company’s great Japanese pop culture creations. 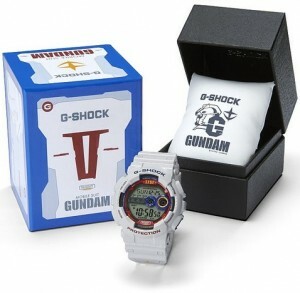 Of the Casio G-Shock collaboration watches, FROMJAPAN has a particular warm spot for the 2014 Gundam edition, which came about as a joint effort between Mobile Suit Gundam, the extremely popular robot anime series produced by Sunrise, and Casio. This collaboration first transpired in 2009, when a collaboration whas created in honor of the Japanese anime’s 30th anniversary. Five years later, a second collaboration was released in a limited quantity as part of Gundam’s 35-year celebration; and though it was originally sold at a retail price of around $190 USD, its popularity among Gundam collectors has caused it to triple to a current value of over $600 USD! The Gundam G-Shock offers a stylish solution for those wanting to sport a timekeeper that is both dashing and durable and features designs that pay homage to the XXXG-0W00 Wing Gundam Zero. Taking a color queue from the legendary Wing Gundam Zero, the watch is branded with a solid white casing and red, blue, and yellow highlights to create a G-Shock that makes wearers look like their prepared for deployment for outer space combat. Also featured on the display screen is the Earth Federation Space Forces acronym EFSF. Beyond the awesome design is powerful technology almost as cool as Gundam. Its broad face and large dimension signify strength and make reading the display in high-intensity situations quick and easy. It is equipped with first-class LED, making it more visible even in dark circumstances. And with all G-Shock GD-100 models, you get one of the most rugged, durable watches available on the market—shock resistant with a toughness that laughs in the face of harsh impacts and shaking, as well as 200-meter water resistance, so that you can submerge without worry as you defend the planet’s oceans. Other essential details about the watch include a flash alert, 7-year battery life, multi-time covering four cities, hourly time signal, 1/100 stop watch, full auto calendar, countdown timer, 5 independent alarms, and many others. It is beyond doubt that this is the best G-shock watch of 2014. While it was released in September, there are still plenty of chances to get your hands on one. Check out our G-Shock collaboration page to see this model, One Piece, Evangelion, and more, available at FROMJAPAN, or continue reading more G-Shock articles here.